lemans | I Love Cafe Racers!!! Up for auction on eBay is this Moto Guzzi that is going to need a bit of work in the cosmetics department. Given the lack of description and the high starting price, it isn’t too surprising that there are zero bidders and the price is $3,995. Reasons for this probably include the cracked fins on the heads, and the bike’s origins as a supposed race bike. If it still had the straight-cut gears and the Dellorto carbs, that might be a little better. Actually, it may still have the race gearbox, but the seller doesn’t really know. Sorry for the break from the blog, but I was busy. What can I say? Up for auction right now on eBay is this really clean, pretty-but-not-truly-restored, Le Mans 850. It has almost 40K miles on it, but the odometer reads only 14K. The suspension is upgraded, and the engine has some upgraded electronics, so it should be a great ride once the carbs are gone through. Cosmetically, I like the bike overall, but I’m not a fan of Corbin seats (looks or sitting on them). 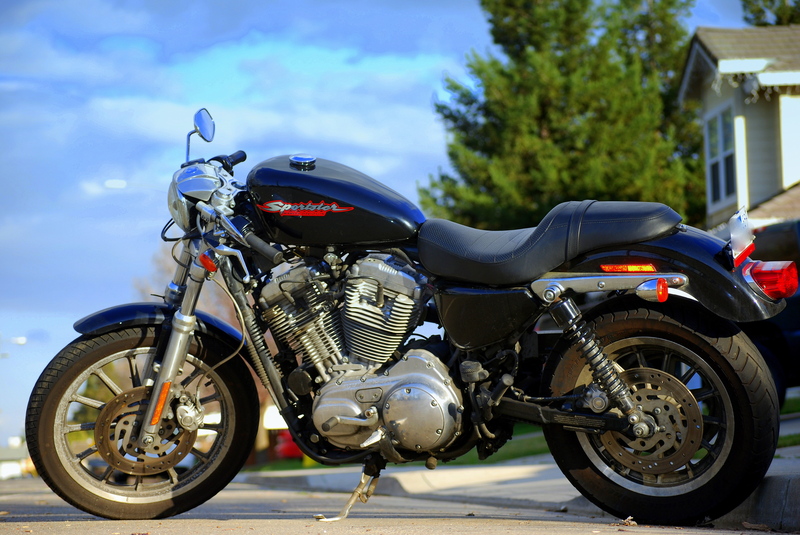 The seller admits the bikes current issues and shortcomings in the listing, so if you are interested, click through and check them out. There are 4 days left in the auction, with one bidder and the price currently at $5K. This seems like a decent bike that could use a good home, but the price seems like it might be a bit on the high side. I think I’ve written previously of my belief that cafe racers need to combine form and function to create a functioning (i.e. fast) motorcycle that follows a certain aesthetic principal. Lots of bike go one way or the other, but very few actually find that nirvana. I believe that the bike pictured below is fairly close to balancing form and function into a workable whole.